gives the greatest common divisor of the ni. 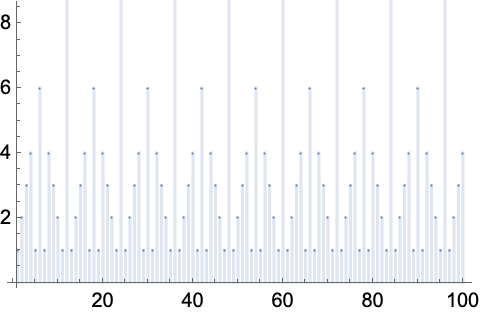 GCD works with ordinary and Gaussian integers. GCD works not only with integers but also rational numbers, both real and complex. For rational numbers ri, GCD[r1,r2,…] gives the greatest rational number r for which all the ri/r are integers. GCD has attributes Flat and Orderless. GCD automatically threads over lists.